Create Brand awareness in Senawang-Seremban. Do you want to target the Seremban consumers? 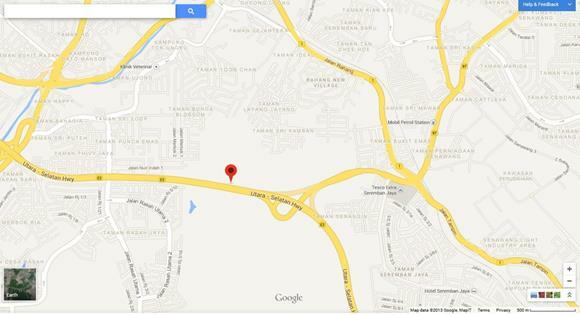 Do you have a new show room opening in Negeri Sembilan? 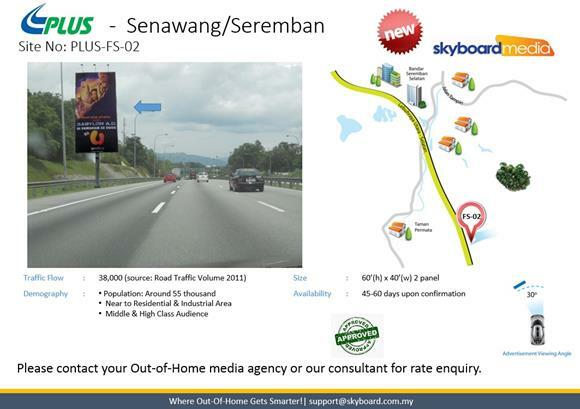 Are you looking for a outdoor billboard that targets Senawang and Pedas Linggi? Skyboard Media is able to fullfill your advertising needs. We have a billboard located at Senawang main PLUS highway. Get in touch with our outdoor specialist to assist you in reviewing your current outdoor advertising strategy. We will guide and assist your advertising and promotion/marketing team to gain the best in the outdoor advertising medium. Feel free to contact Mr.Eden for an appointment. As a measure to keep you updated in the Advertising & Out of Home Industry news, we will send you our email newsletter/announcement once a week. In it, you’ll find the latest news about OOH industry, new development, and advice from professionals. If you no longer wish to hear from us, you can unsubscribe at any time from the footer of any email. previous post: Are you looking for an idea for Creative Outdoor Ads? next post: Does Outdoor Advertising Still Work?